Forbes magazine's website recently had a report on AI, artificial intelligence. Artificial intelligence has been a goal for many a scientist exploring the role of computers and robots in the modern world. The term was coined more than 50 years ago by John McCarthy. 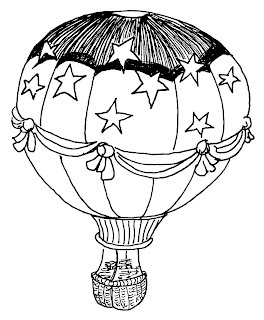 McCarthy first used it in a 1955 proposal for a 1956 Dartmouth Summer Research Conference. The conference was devoted exclusively to the topic, and the development of AI has been in the works ever since. To learn more about AI, look for Lee Gutkind's Almost Human: Making Robots Think [629.892 GUT]. 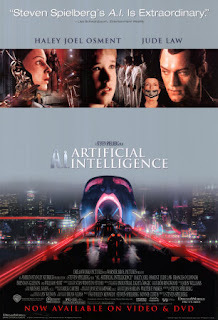 To see how Hollywood approaches the subject, borrow AI: Artificial Intelligence [DVD AI] or The Matrix [DVD MAT]. In the summer, many people recreate outdoors. They think that the few weekend Saturdays they spend swimming, or cooking on the grill, puts them in touch with the natural world. It's true, to a point, but after Labor Day, how much thought do they give to the flora and fauna right in their own backyard? Fortunately, there are people who take the time to look at, and report on, the natural world, and make us aware of what is at stake in preserving it. Henry David Thoreau comes to mind, as does John Muir. There are many more as a reader is soon discover if he/she picks up American Earth: Environmental Writing Since Thoreau edited by Bill McKibben [808.8035 AME]. Many of the essays and excerpts in the book come from rather surprising sources--P.T. Barnum for one. Barnum, in his time the king of advertising, railed against some of the excesses of billboard ads. No man ought to advertise in the midst of landscapes or scenery, in such a way as to destroy or injure their beauty by totally incongruous and relatively vulgar associations. Would you have thought of John Steinbeck as an environmental writer? A description of the dust bowl taken from his novel, The Grapes of Wrath [F STE], shows us that he was an acute viewer of the land. E.B. White of Charlotte's Web fame [J WHI] wrote in his 1956 essay, "Sootfall and Fallout,"
This section of Manhattan boasts the heaviest sootfall in town, and the United States of America boasts the heaviest fallout in the world, and when you take the sootfall and the fallout and bring smog in on top of them, I feel I am in a perfect position to discuss the problem of universal pollution. The environmental writing in American Earth takes the form of essays, poems, and comics! Check it out! Ted Kooser is a former U.S. Poet Laureate. The national honor was well deserved since, in my opinion, Kooser is a poet whose work is appealing to the "average Joe." Kooser has long worked to spread poetry around the country. One of his efforts is through American Life in Poetry. At the ALP site you can sign up to receive a weekly poem by a contemporary American poet. The poem comes with a brief comment by Kooser, which always adds to my appreciation of the work. There have been more than 220 poems posted thus far, and they are archived here. We have several of Kooser's books in our collection, and a poem I would like to share today, "Selecting a Reader," is the first poem in Flying at Night: Poems 1965-1985 [811.54 KOO]. Visit Kelly Herold at Crossover for this week's Poetry Friday Round-Up. If you've seen Little Shop of Horrors [DVD LIT], then you know about talking plants! Audrey II is quite emphatic in her demand to, "Feed me!" Now, from England, comes the news that plants really do communicate, but they do it by means of chemicals. Imagine that! Oaks are indeed the lords of the forest, and in the proper tradition of reigning monarchs, they provide a livelihood for a multitude of the smaller inhabitants of their kingdom. Perhaps Attenborough's "monarchs" send out royal decrees! A tree sheds poison daggers; a glistening red seed stops the heart; a shrub causes intolerable pain; a vine intoxicates; a leaf triggers a war. Within the plant kingdon lurk unfathomable evils. Don't look now, but there's a plant nearby, and maybe it's trying to tell YOU something! School's out and parents' thoughts turn to entertaining the kids for the next two months! One of the best forms of entertainment is reading! This Thursday, between the hours of 1 and 3 pm, bring the kids to the library for our summer reading program registration and kickoff party. The theme this summer is "Summertime and the Reading is Easy." We make it easy for the kids by not requiring that they read from a "recommended" list. We encourage kids to follow their interests. If they want to read about horses, then they can. If they want to read only mysteries, then it's okay with us! If the kids aren't able to visit us on Thursday, then they may register at any time after 3:00 that day. Teens (ages 12 to 18) have their own summer reading program, "Read Like a Rock Star." Their registration and kickoff party is on Friday between 1 and 3 pm. There are plenty of other fun activities planned for the kids, so, pick up a schedule at the library, or check our online calendar. You can also view a printable "Summertime and the Reading is Easy" program schedule here. 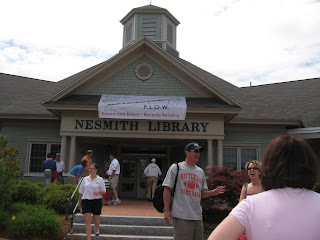 The Nesmith Library recently purchased a library pass to the American Independence Museum in Exeter. Discover the stories behind America’s revolutionary past and how they relate to your experiences today by visiting the American Independence Museum. Located in historic Exeter, New Hampshire, the museum features stories of the brave men and women who overcame their uncertainties about freedom from Great Britain and established our country. The American Independence Museum exhibits highlight the Society of the Cincinnati, the nation’s oldest veterans’ society, and its first president, George Washington. Among the museum’s permanent collection of documents chronicling the nation’s founding are an original Dunlap Broadside of the Declaration of Independence and early drafts of the U.S. Constitution. View these fascinating documents during the museum’s annual American Independence Festival. Permanent collections include American furnishings, ceramics, silver, textiles and military ephemera. To reserve the Library's pass to visit the museum, go to our webpage or call the Library at 432-7154. Yes, I know, it's hard to believe with the weather we've been having, but summer was officially ushered in as of 1:45 yesterday afternoon. Don't despair, the sun will come out eventually. Think summer thoughts, sing summer songs, read summer books--we've got it all covered at the library! Start off with that fabulous song by Martha Reeves and the Vandellas, "Dancing in the Street," on The Ultimate Collection [CD SOUL REE], then mellow out with Bruce Springsteen's "Girls in Their Summer Clothes," on Magic [CD ROCK SPR]. Mix up a summer drink from Coolers and Summer Cocktails by Elsa Petersen-Schepelern [641.2 PET] to enjoy with a grilled treat from Al Roker's Big Bad Book of Barbeque: 100 Easy Recipes for Backyard Barbecue and Grilling [641.5 ROK]. Sit in front of the tv and take a trip waaaaay back with Frankie Avalon and Annette Funicello in Beach Blanket Bingo [VIDEO BEA], or watch what is arguably the best summer film of all time--Jaws [VIDEO JAW]. How about a summer mystery? There's Dead Days of Summer by Carolyn Hart [MYS HAR] or In the Dead of Summer by Gillian Roberts [MYS ROB]. Do you have a favorite summer book? NPR is compiling a list, so weigh in with your favorite (fiction only). Until the sun comes out, here's something to put a smile on your face! 1. full of or characterized by healthy vigor. 2. hearty, as a meal. Isn't it funny, but all four definitions apply! 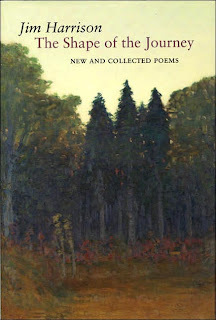 I think there's something for everyone in The Shape of the Journey: New and Collected Poems by Jim Harrison [811 HAR]. Here's a small poem from the section entitled, "Geo-Bestiary,"
sets of shrill mating birds. so softly the air ignores them. not one day clones itself. The New York Times has Harrison as one of its "Featured Authors," so check it out if you're looking to learn more. The Poetry Friday Round-Up is being hosted this week at Carol's Corner. The National Endowment for the Arts released the results of a study about Americans' participation in the arts. Overall, participation in creating art, and attendance at arts performances is down. One exception is the use of the internet to listen to or view art. This comes as no surprise to me, does it you? I listened to a segment on WBUR's Here & Now that had to do with entrepreneurial spirit in India. The journalist who was interviewed, George Black, told of a village where the ground water had become so salty that it was undrinkable. Black explained how the villagers had set up a solar-powered desalination/distillation device. Here is the story taken from Black's article in the online OnEarth magazine. The strange structure used the power of the sun to function as a combined distillation and desalination plant, he explained. And since it ran entirely on solar energy, the operating costs were close to zero. The brackish groundwater was pumped in from a nearby holding tank; once inside the pyramid, it was distilled through evaporation. He thumped a meaty fist on one of the sloping sides, and shimmering streaks of freshwater ran down the interior walls. The salt that was left behind provided an added source of income for the villagers, who subsisted otherwise by selling the milk from their scrawny herds of cattle, goats, and water buffalo. But centuries of irrigating the land without draining it properly has led to a build-up of salt in the soil, making much of it infertile. Lack of water in the rivers has speeded up the salinisation, so land in central and southern Iraq, highly productive 30 years ago, has become barren. Of course, the situations in each country are different, but, the willingness to find village-level solutions should be explored. Perhaps some of what was learned in India could be applied to the problem in Iraq. Wouldn't it be nice if solutions could be developed without the intervention of governments and military? It is happening. To read how some people are making sure that the capital needed to start up small projects is made available to impoverished people, look for Banker to the Poor: Micro-Lending and the Battle against World Poverty by Nobel Peace Prize winner, Muhammad Yunus [B YUN]. Visit the Kiva website to see what they are facilitating. Kiva is even making loans here in the United States. If I ran the world, I'd make sure everyone shared, even if it's only titles of books! Recently, I've seen a number of articles on Pablo Picasso and his work. A sketchbook with 32 of his drawings were stolen from a museum where security was totally inadequate. I guess temptation was a bit too strong, since these sketches are valued at more than $11 million! Another article tells of one of Picasso's homes being opened to the public 36 years after his death. The family squabbles make for an interesting story--as if Picasso's life wasn't interesting enough! 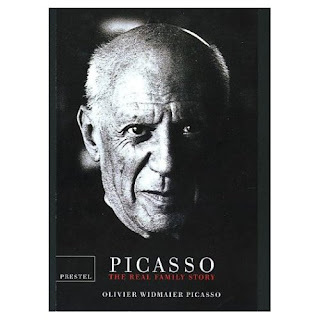 If you'd like to read Picasso's grandson's take on the family life, pick up Picasso: The Real Family Story by Olivier Widmaier Picasso [B PIC]. Picasso's mistress, Françoise Gilot, wrote about him, too, in Life with Picasso [B PIC]. When I was younger, I saw Picasso's "Guernica," at the Museum of Modern Art in NYC. The sheer enormity of the painting added to its impact, I had only seen it in books. You have to wonder, though, if his family history had been different, would he have created a work as passionate, or, as painful. But, I guess I was wrong! It seems that there's been a new element added to the periodic table! So, what is the name of this new element? Hmmm...somehow this puts me in mind of Lawrence Welk, "And ah one, and a two." With the revision to the periodic table, we'll have to get an updated version of A Guide to the Elements by Albert Stwertka [541.2 STW]. And maybe a Lawrence Welk CD! you’re allowed to have, that you can justify? or do you smile valiantly, chin up, unsquinting? What is your favorite/least favorite interview question? "If you could be a kitchen utensil what would you be?" "How do you relate to Earth, Wind, Air, and Fire?" My favorite, asked of me in a group interview, "What are your goals ten years from now?" My answer, "To be happy." (I didn't get that job!) It's still my goal, and I daresay, it should be yours! By the way, look on our shelves in the 650.14 section where you'll find books like Job Interviews for Dummies by Joyce Lain Kennedy. The Poetry Friday Round-Up this week is found at Critique de Mr. Chompchomp. Great name for a blog, huh? Maybe we can get the Library's ultimate movie fan, Terrie, to view, and review it on her blog, Marietta @ the Movies, when it opens in Concord at the Red River Theatres on 7/24. You can start reading now while you wait for the film to open. Carl has a penchant for collecting odd little things. 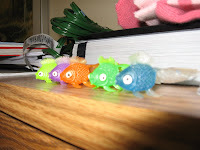 The photo is of the fish that he has on his bookcase. Isn't the little blue one cute? Carl's blue fish in no way resembles the popular sports fish, the bluefish, (Pomatomus saltatrix) which is found off the eastern coast of the United States. To learn more about bluefish, visit the NH Fish and Game website, or for even more information you can look in McClane's New Standard Fishing Encyclopedia and International Angling Guide [799.1 MCC]. Herbert A. Schaffner in Saltwater Game Fish of North America [799.1 SCH] tells the reader that bluefish runs are cyclical and reports, "They were plentiful off the coast of New England in colonial times, but then from about 1764 they totally disappeared and didn't show up again until about 1810." How odd! There are bluefish in NH waters now, but for fisherman, the big ones are off limits for a while. A recently issued NH Department of Environmental Services Advisory states, "According to state health officials, large bluefish and striped bass (larger than 25 inches) contain polychlorinated biphenyls (PCBs) at levels of potential concern to the general public." Better to be safe than sorry. Once the warning is lifted, fisherman can borrow Striper Hot Spots: The 100 Top Surf Fishing Locations from New Jersey to Maine by Frank Daignault [799.166 DAI] and go after the big ones! I heard about an inspiring movement called Hope Is in the Cards, in which people are being urged to send cards to others to provide a little dose of encouragement. It sounds like a good idea to me! And, to make it even better, a handmade card would show you really cared! 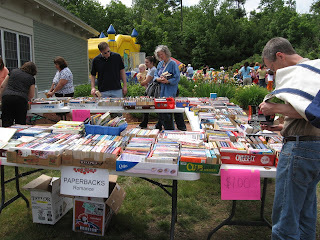 The annual FLOW Strawberry Festival and Booksale was attended by record crowds on Saturday. The photos above, taken early in the day, don't show the massive numbers that came through in the afternoon. It's too early to report on the proceeds, but we hope FLOW members' hard work was richly rewarded! Purchases library passes to ten museums and zoos. Provides college scholarships to Windham students. This year's winners, announced Saturday, are Sarah Scannell and Brian Broom-Peltz. Congratulations! Children's room and young adult area enhancements, such as the castle seating area. Underwrites children's room performances and summer reading program activities. 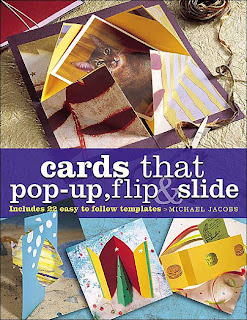 Plans and executes multiple craft projects for the annual Holiday Crafts workshops. And much more for which we offer a hearty Thank you! Since tomorrow is the annual Strawberry Festival and Book Sale, I thought I'd look for some poems to share that mention strawberries. (I've bolded the reference, so don't think the poet wrote it that way!) The first is by John Greenleaf Whittier, who hailed from nearby Haverhill, Massachusetts. The next is by Christina Rossetti. A lovely long list of fruits, some of which I've never heard of! lobster, only if served on a bed of watercress and white violets. In times of stress, the shy solace of a baked potato. But remember this. Inspiration can, if forced, take nourishment from nothing at all. 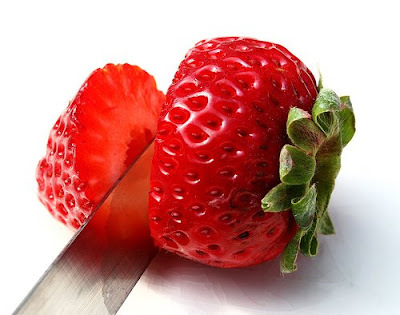 Strawberry Festival and Book Sale--It's Time! 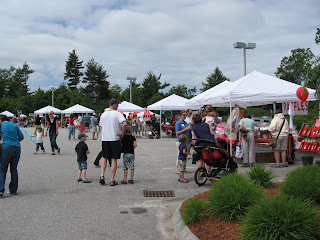 This is a great time a year--the outside temperature has reached the point where we know for sure summer's coming, and, the FLOW's Strawberry Festival and Book Sale is upon us! This Saturday, from 10 am until 4 pm the library will be the scene of the annual community event! Hundreds of people will be here enjoying entertainment by the Windham Community Band and other groups. They'll be chowing down on hotdogs, crabcakes, fried dough, and STRAWBERRY SHORTCAKE! Kids will be jumping on the inflatable Moonwalk and having their faces painted. And everyone will be buying raffle tickets to win baskets of treats. Since October the library has been the drop-off point for books, media, games, and puzzles that will be on sale in our multi-purpose room. These items have now been sorted and are ready for you to purchase. Life magazine recently uncovered long forgotten photos of Marilyn Monroe taken in 1950 for a photo shoot for the magazine. Life was, and is known, for its photo documentation of the twentieth century and the fact that unknown photos exist should come as no surprise considering the vast number of photos taken over the years. Monroe has long been of interest to many, although it is doubtful that the younger generation has even heard of her! Our biography section [B MON] reflects this interest with numerous books devoted to her life and death. One title I particularly like is Marilyn Monroe, Cover to Cover by Clark Kidder, which is a study of the magazine covers on which she appeared. The variety is astounding! Don't forget we have many Monroe movies for you to enjoy including the musical comedy, Gentlemen Prefer Blondes [DVD GEN], and the suspenseful, Niagara [DVD NIA]. Our collection also includes the documentary, Marilyn Monroe: The Final Days [DVD MAR]. If you are anywhere near Lexington, MA in the next few months, you might want to visit the National Heritage Museum to view an exhibit titled, "A Penny for Your Thoughts: Postcards from the Golden Age, 1898 -1918." We have a lovely book called Greetings from New England by Ernest Hebert [974 HEB], which is nothing but postcards from our region. (You may recognize the name Ernest Hebert--he is the author of many novels about New Hampshire, including The Dogs of March [F HEB].) Wish You Were Here: A Tour of America's Great Hotels during the Golden Age of the Picture Post Card by Barry Zaid [741.6 ZAI] is loaded with fascinating postcards of many former vacation spots. For those interested in collecting postcards, we have The Postcard Price Guide: A Comprehensive Reference by J.L. Mashburn [741.6 MAS], and, there are a gazillion websites that can provide you with current values. If you wait until Friday before visiting the Museum, you'll also get to see the newest exhibit, "The Way We Worked." This one should be a real eye-opener for your kids, so take them along! There is a new book coming out on Jimi Hendrix in which it is claimed that Hendrix was murdered by his manager! You can read about this revelation by the book's author, Tappy Wright, a former roadie, here. Until that book hits the shelves, you may wish to revisit Hendrix through his music. Pick up Voodoo Child: The Jimi Hendrix Collection [CD ROCK HEN], or watch Woodstock: 3 Days of Peace & Music [DVD 782.421 WOO]. Here's a biography you can also look for, Room Full of Mirrors by Charles R. Cross [B HEN]. This year, in August, is the 40th anniversary of Woodstock. I hate to admit it, but I was there. Of course, I was only a baby back then!